Take a ride on a new route and explore the open road with the zūmo 665, a motorcycle-friendly navigator with stereo Bluetooth® and SiriusXM Satellite Radio, NavWeather and NavTraffic. Whether you’re on a weekday ride just across town or a weeklong trip to an annual rally with friends, the zūmo 665 is ready to show you the way. 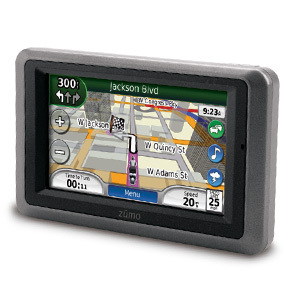 Featuring a bright 4.3-inch touchscreen color display, the zūmo 665 puts all the information you need in an easy-to-read format as you travel down the road. 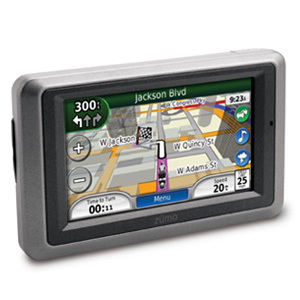 The zūmo 665 also has a glove-friendly intuitive interface that makes entering information as easy as shifting gears. In addition, the wide sunlight-readable display makes for easy navigation — whether you’re riding during a bright day or a moonless night. And with a rugged water resistant (to IPX7¹) case that resists fuel sprays and UV rays, the zūmo 665 was built for life on the road. 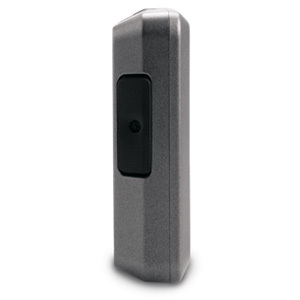 The zūmo 665 comes standard with our GXM™ 40 XM antenna. 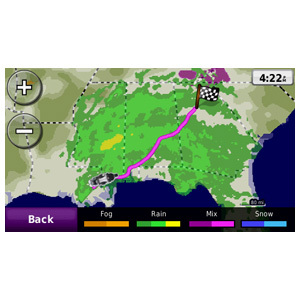 Simply add an optional XM® subscription and receive real-time SiriusXM Satellite Radio with 170 digital channels of commercial-free music, news, sports, talk and entertainment when you travel in the U.S. With the addition of NavWeather, you can access weather data and NEXRAD radar graphics from your map screen to stay ahead of the storm. Plus, when you add on NavTraffic, you can find out where the trouble spots are and route around them. Pick your path and hit the streets. 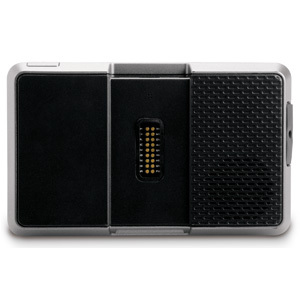 The zūmo 665 is ready to go right out of the box. 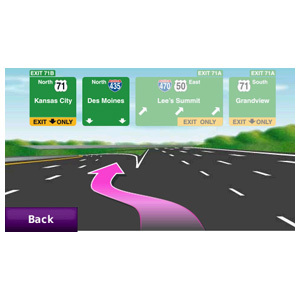 It’s preloaded with City Navigator® NT street maps and millions of points of interest (POIs) that include motels, restaurants, gas stations, ATMs and more. In addition, the zūmo 665 offers 3-D building view and lane assist with junction view to show you more of your surroundings and make sure that you'll know the right lane at the right time. The zūmo 665 also comes standard with a digital fuel gauge so you can keep track of how many miles you have left before it’s time to get gas. The zūmo 665 features Bluetooth wireless technology so you can stay in touch while you're on the move. With it, you’re free to safely talk on your phone without having to remove your gloves or helmet. Simply connect your zūmo 665 to your Bluetooth-enabled headset or helmet and then pair with your cellphone to make and receive calls on the go. You can also call POIs through the zūmo’s Bluetooth interface — perfect for last-minute change of plans or a quick pit stop for food and fuel. And with spoken street name functionality, the zūmo 665 will also transmit voice prompts to your headset for wireless and worry-free navigation. Have a long ride planned? The zūmo 665 is your all-in-one entertainment center. 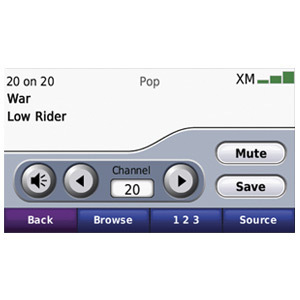 Featuring an on-board MP3 player and advanced Bluetooth A2DP technology, you'll enjoy crisp and clean stereo sound, including SiriusXM Satellite Radio (subscription required), with your compatible headset. The motorcycle mount also comes standard with a headphone jack so you can connect to your headphones or helmet headset and microphone. It’s also loaded with a picture viewer for taking friends and family on the road, and it supports audiobooks to help break up the miles when you’re in for the long haul. Found the perfect backroad to share with your riding buddies? Or perhaps you’re planning a cross-country trip and looking to avoid as much interstate as possible. 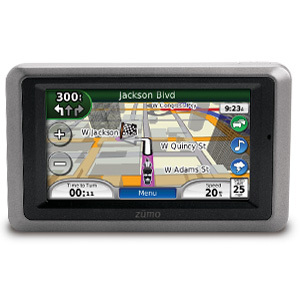 With the zūmo 665’s powerful trip planning tools, you can create your custom routes on your computer and then transfer your saved route directly to your zūmo. And when you’ve returned home, you can review your rides in Google™ Earth. In addition, microSD™ card expansion makes it easy for sharing routes and adding storage. 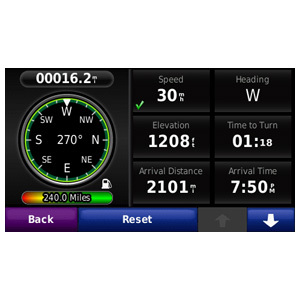 You can also visit Garmin Connect™ — our online community of routes and riders. It’s a great resource for finding new rides and planning trips. Just because your bike’s parked doesn’t mean your day is done. The zūmo 665 also pulls double duty as an in-car navigator when you’re on four wheels instead of two. In addition to the included motorcycle mount, the zūmo 665 also includes a carrying case, vehicle mount and power cable. It’s like having two full-featured navigators for the price of one. ¹Protected against water immersion for 30 minutes at a depth of 1 m.